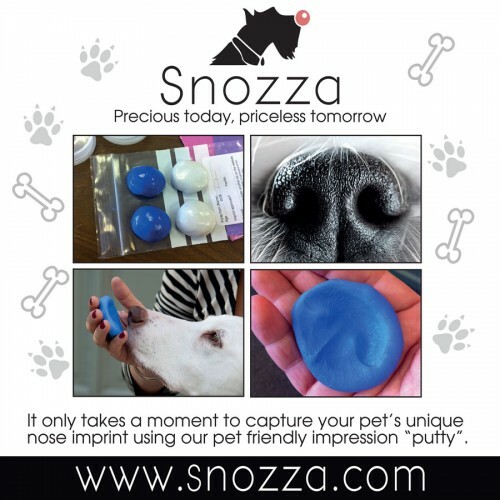 This is the product for dog lovers everywhere... a solid cold cast BronzeSnozza! 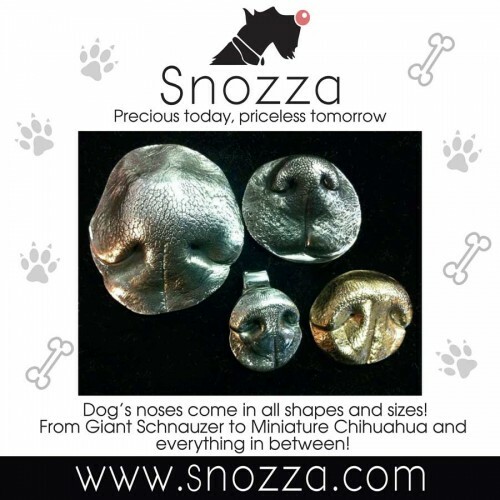 Your own dog's unique nose captured in bronze! 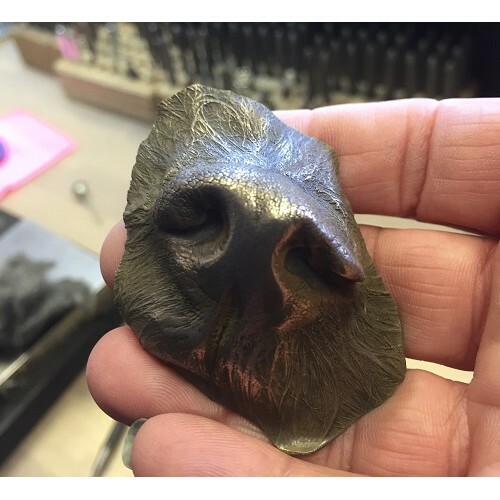 Using our unique impression kit, you can now capture your dog's nose print at home, and we then work our magic in the Studio to recreate your dog's nose print in solid cold cast bronze. 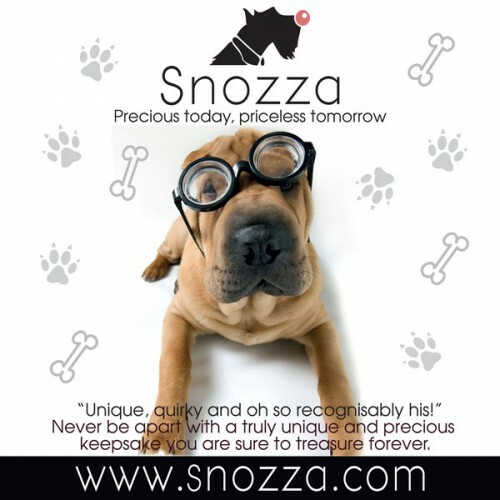 Your finished Snozza will be life-size, and nothing short of stunning! Your bronze Snozza will be bigger than the silver equivalent as we will capture more of the surrounding muzzle, capturing any hair/ fur detail there is in the impression. 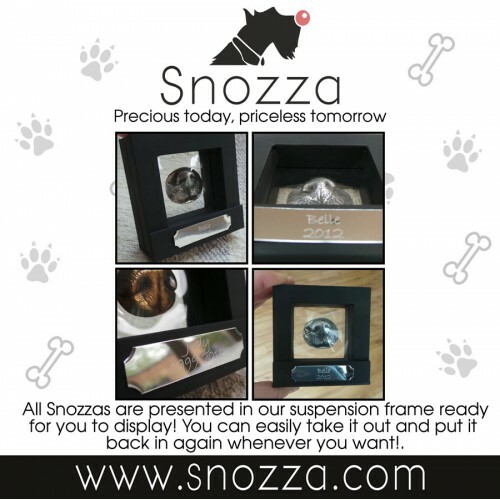 All Bronze dog Snozzas come suspended in a fantastic display frame. 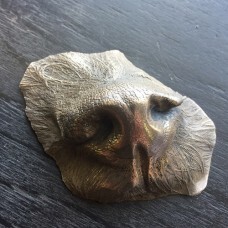 You can easily remove it and replace it whenever you want. 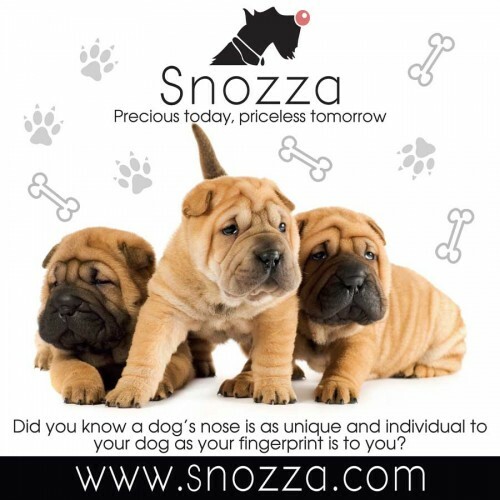 You can opt to further personalise the frame with an engraved plaque if you would like to include your Dog's name or other details. 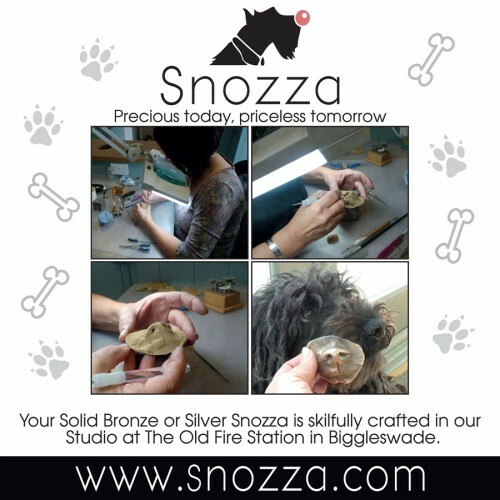 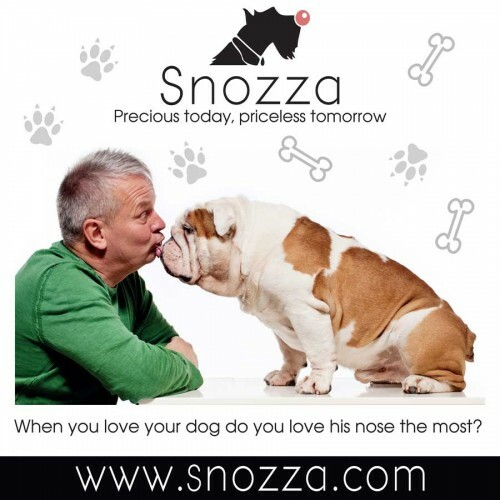 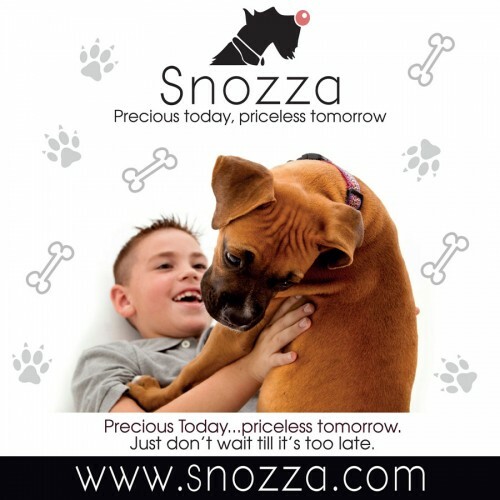 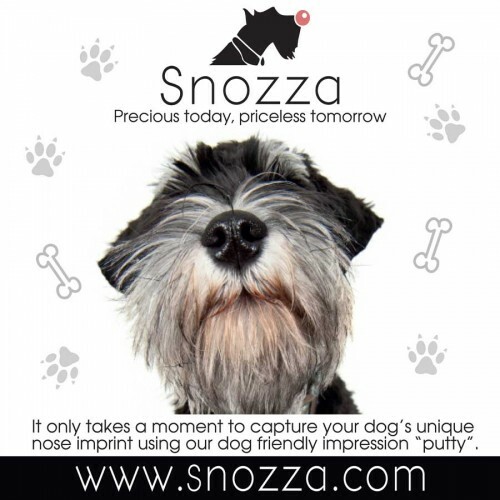 There is no size pricing on Bronze Cold Cast Snozzas, all dogs are the same price no matter what the breed.